Partitions have always been an integral part of our lives. In Japan, for instance, they have been used for hundreds of years as screens, walls and even flimsy, delicate doors. The Japanese were the first to turn screens into works of art so artists from then on could relate to screens as independent works of art. In other places partitions served as hiding places, for fornicating, as in The Decameron or as cloisters for the conspirators and revolutionists of famous tragedies. Partitions created caches from whence the infamous gleaming dagger could appear to stab its prey and thereby transform world order. European artists such as Kandinsky, Paul Klee, Egon Schiele and others regarded the screen as an additional medium on which to sketch, paint and even sculpt. Integrating partitions into daily use does not degrade their artistic or functional value whatsoever. On the contrary, they are designed to elevate daily life as an item that represents quality, delicacy and of course practicality. The partition is different to the screen. The screen is designed to hide something, whereas the partition is designed to separate between areas inside a space and to turn a single space into differentiated units. 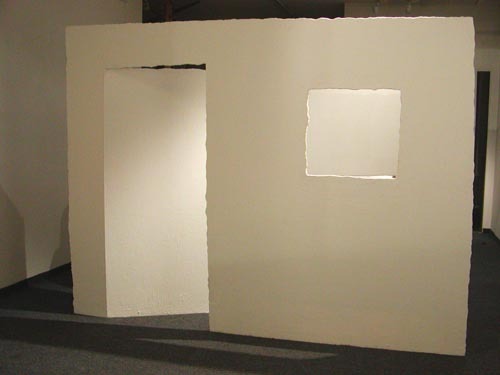 In the physical space the differentiation defines territories by walls or enclosed territories. In virtual space, a contemporary innovation, we build imaginary partitions to create libraries of data or images. Defined internal spaces are found even inside our bodies - a complex architectural structure comprised of partitions in the heart or brain. Galleries or museums have always been constructed as spaces divided by partitions designed to enable presentation of many works under optimal conditions. The flexible division enables differentiation by subject, thereby solving the problem of contending with a given, inflexible space. Today we find many larger and more open spaces that enable free spatial perception devoid of relative limitations into which partitions can be introduced as required. Large-scale artworks create a strong visual effect and therefore require large spaces. 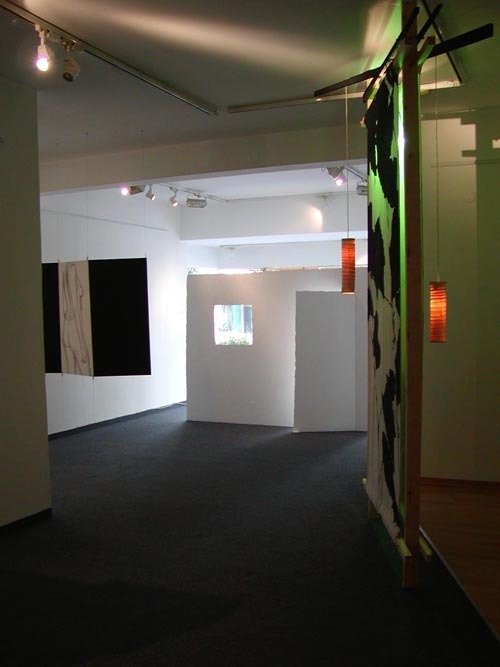 Innovative technologies such as video, various presentations or displays also require designated darkened or exposed spaces, as required by the art. But what happens when the partitions themselves are the artworks? Are they partitions or screens? Can artworks enclose a space when they themselves occupy a space? And can materials so different from each other in one defined space, such as a gallery, provide the definition of an enclosed space? Or can artworks arranged as objects open the space and award it with a new dimension and meaning? And is the partition as an object is an art work or craft?